I had checked the Qatar National Library earlier when the book had been released, but didn’t have much luck. Nevertheless I persisted and when I checked a few weeks later they had all 3 formats of the book! The paperback, an e-book and an audio book! QNL was my savior! I had never ‘read’ (is that even a correct term to use), an audio book, or listened to one, but I stared at my screen longingly, the book I had wanted was only a download away! This was tempting! I’ll be honest though, it felt like I was ‘cheating’! There was this gut wrenching guilt of ‘would it be fair to the actual book’? But the joy of having the book I had longed for in my hands in a matter of seconds made my heart flutter. Minor love affair with books going on here! Temptation got the better of me, and I began to download my anticipated read!. Starting off the audio book was a little odd at first. I had to pay attention to each and every word, otherwise my mind would wander off and I would have to rewind the last 15 seconds – multiple times! It required concentration to follow. But it wasn’t long before it felt like someone was telling me a story and I was mesmerized! How long had it been since someone read ME a story?!! Probably one of the most desired benefits of an audio book is that you can listen to it while multi tasking! It’s been a godsend for my commute. Doha traffic has nothing on me, as I listen to my audio book. It actually takes the stress away! I had caught on so well, that I found myself sitting in my car waiting for the chapter to finish before I got out! I took my audio book to the gym and listened to it while I was on the elliptical. The result? I lost a pound. You can enjoy your audio book almost anywhere. During a long haul flight, while folding laundry, or if you’re like me, even when your spouse or kids are telling you inconsequential details about their day. Just make sure the ear phones are inconspicuous! Having said that, there were some concerns I had with the audio books. Since you have to process the book aurally, the narrator plays an important role in the book. It can make or break the story. It is the character’s voice! As the emotions change, the voice changes. It can’t be read in monotone like we do in our head sometimes. A good narrator takes on the voice of the character and is vital to the story. Having heard a few narrators now, I do prefer some over others. If you were to venture into the audio world, I would suggest hearing a sample of the book, to see if you like the sound of it. Another issue, (and this is probably just me!) was I couldn’t highlight the passages as I listened to the book. Usually with a book in hand, I page mark the passages that resonate with me and affect me personally. I also love highlighting my favorite quotes in the book for my reviews and couldn’t do it with my audio book. Audio books average approximately 12 hours. But some go as long as 19 hours so it takes a long time to get through them! If you are a really fast reader, then you could finish reading a book much sooner. It definitely took me longer to get through an audio book. Again, not a race. You do have the option of increasing the speed at which the narrator reads, so that is always an option. But really fast readers might find audio books too slow for them. An average reader reads at 250 – 300 wpm. An audio book narrates at 150 wpm. Ever wondered what your reading speed is? You can check find out here . The last couple books I listened as an audio version, did not read the acknowledgements. There is a great deal that goes into writing and the acknowledgments provide an insight into the authors work. The extensive research that goes into producing such a work of an art should not go unnoticed. I really wish more audio books had the acknowledgements section! Is an audio book for me? The tactile sensations that an actual paper book provides far outweighs the benefits of an audio book for me. The turning of the pages, being able to flip back to the cover or blurb, the weight of the book in my hands are immeasurable. But the audio book is a great alternative to when titles are not available to me, and when I am driving or doing some mundane task. Also, I can get through far more books this way and hit my yearly target! Again not a race! As a side note, if you’re looking for an audio read, Little Fires Everywhere is excellent! What is your most preferred way of reading? Have you tried audio books and what are your thoughts on them? 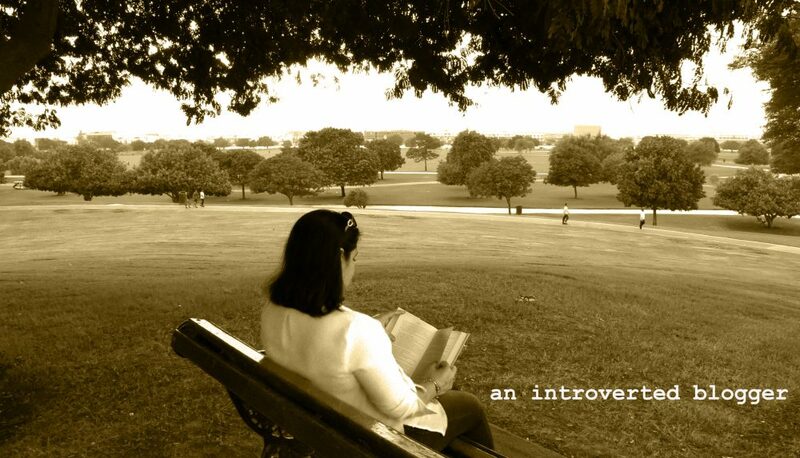 This entry was posted in Reflections and tagged audible, audiobook, book, bookstagram, little fires everywhere by An Introverted blogger. Bookmark the permalink. I can’t do audiobooks….can’t concentrate when it’s someone else reading.but the fact that you can actually read doing so many others things is for sure appealing. Great review and points I absolutely love listening to audiobooks and as well reading physical & eBooks too. Thank you so much for sharing your awesome post. Thanks! It’s always good to have a mix of reading avenues! I’ve never gotten into audiobooks, but I need to start doing them. There are definitely scenarios where they have so many advantages. My husband listens to them all the time. Though he always speeds them up to 1.5 or 2 times the normal speed to get through them faster. I actually just increased the speed of my last audio book once I was immersed in the story. It did go by pretty fast! I do like an audiobook if I’m doing something that I can’t read a physical book. But I agree I read faster if I have a physical book and sometimes the narrators might be not the right fit for the book. There is no clear winner or loser in this situation. Absolutely! I’ve downloaded samples before but did not borrow the book because of the narrator! Lovely Audiobooks approves of this article! You covered it wonderfully 🙂 And yes, this is why audiobooks are awesome. Great post! Audio books are so tough because it has to be the right book and the right narrator. Normally when I’m running I’ll listen to an audiobook, but it’s normally a lighter mystery. I find that helpful too! I took a light romance to the gym recently and it was perfect! Nothing too heavy or deep! Otherwise I’d just be strolling on the treadmill! I have not yet gotten around to audio books; tried with a couple of books (non-fiction mainly, though with a wonderful narrator) but i think they are not for me, not yet.. but this book is still on my TBR ..
Little Fires Everywhere would be a great physical book for sure! This is the only one I’ve read by this author though! I have been living off audiobooks lately. I haven’t had much time to sit and read, but audiobooks have kept me from making no progress on my TBR. I absolutely enjoy listening to books as I drive or clean. I did listen to one audiobook that had a monotone narrator, but the story was terrible too so it was all around bad. Haha. Great post! Yikes! That sounds difficult! It does help with my TBR too! I know what you mean! And sometimes I need my own voice to read it! Absolutely! I think I will always be a loyal ‘physical’ book reader! That’s my safe place and I like the sound of my own voice in my head if that makes sense! Totally agree on the voice part.. it matters the most!!! I love audiobooks and I definitely listen when working out and on long car rides, but a real book will always be my favorite. There’s something lovely about holding the book in my hands and being able to touch the pages. For me a regular book beats a ebook as well, no matter how convienent an ebook is either. I think there is a time and place for EVERY kind of book. I love listening to audio books as I run (well, really walk, but don’t tell anyone), and like you, while working out at the gym. Listening gives me motivation to actually get out there and do something athletic because I want to find out what happens next. Unlike you, I just cannot listen while I drive. I get too involved in the story and don’t pay enough attention to the traffic. I do listen on plane trips and while someone else drives. I do not find the “slower” pace of the audio book a problem, although I try not to look at how many chapters there are because some have Many, many, many hours of listening. It it is a good book (and why would I listen if it were not?) I do not really care how long it is, and anyway, there is not that huge, heavy, thick book to carry around. Absolutely the narrator can make or break an audio experience. Reading aloud is a special skill, and trained readers can superbly portray various emotions and diverse characters as they read. (I have noticed that some male narrators have trouble with female voices, but female readers do not seem to have trouble with male voices.) I specifically “read” some authors only on audio books because I love that Irish or Scottish accent. (Adrian McKinty, Anne Cleeves, Peter James ……and on). For most reading, one just cannot beat the feel of an actual book, even a big one. I also flip back through the pages to find little tidbits I might have missed. But audio books have their place as well. And, YES, I agree that an audio book still counts as reading a book! Yay! Audio books count as reading a book! Love that! I too sometimes reserve my audio book to listen to only when I’m at the gym! That way I know I will get my workout in! That’s my motivation right there! Great tips! Some audio apps allow you to move the speed up on the narrator :). I know my library app does and Christian audio app. It be awesome to highlight what we like!! I’ve learned to bookmark things I like then go back to them :). I tried running on the treadmill with an audio book but could not focus! But elliptical was much more manageable for me! Another blogger Hollie (https://readingontherunblog.wordpress.com/) runs on the treadmill while reading an actual book! Impressive!